It's been said that the average American watches TV about five hours a day. If you do that every day of your life, you'll actually spend over 10 years in total watching TV! No wonder we thought it's about time to help you find the best 4K TV so that those ten years of your life can be as good as possible. No matter what video content you like to watch, whether it's football, talk shows or cooking programs, you can benefit from a 4K TV. When watching 4K content you'll be able to really feel as though it was you that's running over that field over the short, green grass, and you'll be able to feel the texture of that chocolate cake just like it was your own kitchen. The whole thing about 4K TVs is that it makes everything come to life, and look not simply clearer, but they also give a better image quality when it comes to deep and details, making your TV watching ten times better. But how is it possible to choose which TV is the best? 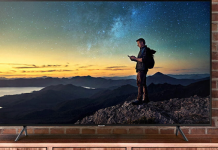 We've taken the work out of it for you and found eight fantastic 4K TVs available on the Amazon Marketplace that we think you might want to read more about. We've searched the internet far and wide for reviews and have read up on some of the top-selling 4K TVs out there, which should make it much easier for you to choose. Its all part of the service. 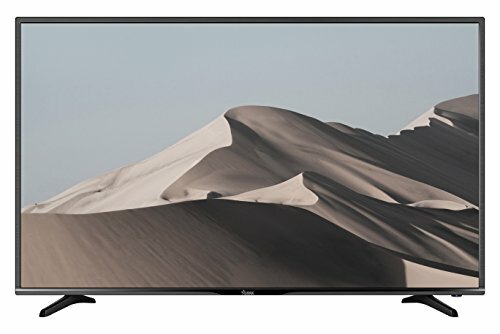 What to Look for When Buying A 4K TV? 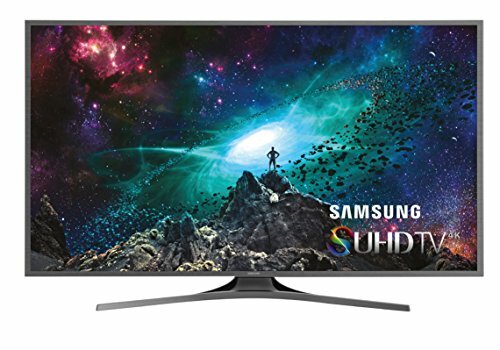 Is A 4K TV Worth It? Ready to find your new TV? We thought so! Here are eight amazing TVs, and chances are big that your future 4K TV is among them! Make sure that you have time to compare them properly - it might be a good idea to keep a list of your own so that you remember which ones you like and can compare the pros and cons. Our buyer's guide will make the process much easier and less time-consuming. If you have a budget below $1000, try these amazing 4K TVs for less than 1000 bucks. If you came to this list hoping to find the perfect 4K HDR Smart TV without doing too much research, then you might be very happy with the first TV we're going to look at - our Editors Choice 4K TV. This Samsung 55inch TV is everything you've ever wanted in a TV. The colors are amazing, and the contrast between dark and bright colors is quite striking. The 4K Ultra HD Smart TV comes with a so-called OneRemote, which is a remote control that detects and controls all the streaming devices you connect to it, meaning that you can use one remote for everything. Not all devices can be controlled by it though, so it might be worth to research this further to make sure if your devices are compatible. You don't even have to do any manual programming, it's very user-friendly! The Smart 55-inch 4K TV makes it easy to watch your favorite movies and TV shows by the use of Samsung Smart Hub. It's also easy to connect it to a Chromecast or Apple TV if you prefer that. The TV has all the outputs and inputs you'll need, including 3 HDMI ports, 2 USB ports, 1 composite input, 1 component input, 1 Ethernet port, 1 Digital Audio output, 1 RS232C serial interface and 1 RF input. 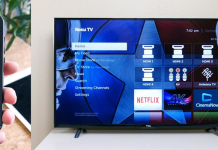 Check out this video review to learn more about this TV! Why We Liked It - This 4K Ultra HD Smart TV offers everything that most casual TV watchers will ever need. It's a Smart 4K TV, which makes it easy to watch TV on demand, and you'll get a OneRemote included that you can use to control all your streaming devices. The colors and contrast ratios are great too, just like they should be on a premium 4K TV. 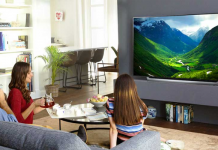 Samsung are great at making TVs, especially 4K Smart TVs, and they are available in a multitude of screen sizes such as the Samsung 65inch television, 55inch, 60inch TVs and many more. The second TV we would like to tell you a bit more about is this premium 4K from LG. 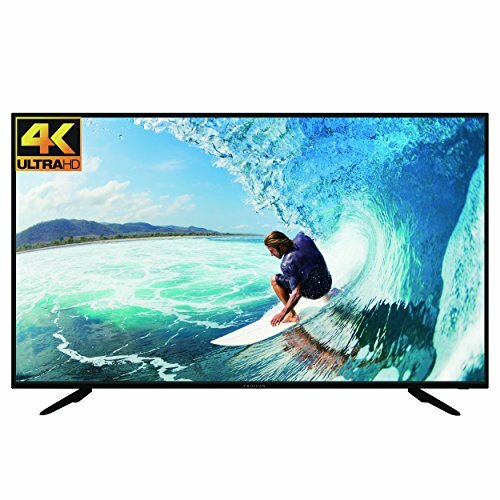 If you want amazing clarity and TruMotion 120, which makes fast action scenes less blurry, then you will want this 4K Ultra HD Smart TV. This best-selling 49-inch TV has an energy saving setting that should probably be turned off, though, since many reviews say that that mode makes the image quality way worse. But if the energy saving is turned off, the picture is very vivid, and colors look brighter and richer. This is a 4K HDR Smart TV that makes it easy to watch Netflix and similar services and the LG Channel Plus app will give you access to more than 70 free premium internet channels. Why We Liked It - This is a great 4K UHD TV for somebody who wants a good device without breaking the bank. Considering what it costs, it's really good, and perfect for the modern TV watcher who needs their Netflix-fix. Samsung has a quite wide selection of 4K UltraHD TVs, so it makes sense to take a look at another TV from them. This one is what they themselves describe as an exceptional home theater experience' and it uses nano-crystal technology to make the colors extra vivid and to enhance contrasts and make everything look as great as it would in real life, if not better! Don't know exactly what nano-crystal screen technology is? We didn't either, but we found this video very helpful! If you've ever been annoyed by the sun shining on the TV so that you can't see a single thing other than your own reflection, you're going to love this TV! It absorbs ambient light and reduces reflections, no matter which viewing angles you're watching from! It's a Smart Home Theater TV and it's easy to use apps to watch whatever you like. The design looks very modern and sleek and works well in any living room. Why We Liked It - As soon as you see this TV you know that it's going to be something special. The image quality is amazing and it's really nice to get rid of irritating reflections. Now, you don't have to have your blinds down or wait until the evening to watch TV! Finally! Time to look at a good budget TV option if you need to buy a TV now and don't have the patience to wait until you've saved up lots of money. Proscan is a slightly cheaper budget 4K UHD TV that saves you some money and still does a pretty ok job. We have reviewed our favorite TVs below $500 here. It's easy to mount to a wall, is really thin and has the following inputs: YPbPr, 4 HDMI, PC Audio, AV Audio/Video, Line Out, Optical Out. This TV is pretty basic, it's not a Smart TV, and it just comes with a normal remote control, but they had to save on something. When the TV is working properly, the picture quality is good and you can tell that it is a budget 4K Ultra HD TV and not just a regular TV. The colors are very bright and the LED backlighting makes the contrasts between dark and bright great. However, we've read a few reviews that claim that the TV has been defective when they've started it, showing red dots and stripes, so if you do purchase this TV, make sure to try it out right away, so that you can return it in case something should be wrong with it. Why We Liked It - If you don't consider yourself a TV snob, and you are happy to save some cash, then this budget 4K might be the TV for you. bIt's certainly much more affordable than many other 4K TV's. The design of this 4K Ultra HD TV is really nice and the TV is very thin, which is good if you want your living room to look nice. If you are the kind of TV watcher that has abandoned regular TV channels and only use Netflix, YouTube, and similar apps to watch your movies and TV series, then you might like the VIZIO MSeries UHD TV. It doesn't have a normal TV tuner, but if you at some point would want one, it is possible to buy one. Learn more about it in this video! When it comes to the image quality, it's one of the best on the market, it's almost hard to imagine how it could even get any better. A tablet remote is included so that you can change between apps and choose what you want to watch really easily, as well as change settings, but you'll also get a really basic remote control, which might be handy if you just want to change the volume. The VIZIO MSeries UHD TV doesn't have as many different inputs as many others do, but honestly, which inputs do you use? Many of us only ever use HDMI and USB, which is probably the reason why it has 5 HDMI inputs and 1 USB. Why We Liked It - This VIZIO MSeries UHD TV is perfect for the millennial generation who have abandoned the traditional way of watching TV and use apps to find exactly what they feel like watching right now. The tablet remote makes it easy to change settings and browse for something to watch. This is a fairly low priced 65 inch TV. See more low priced 4k 65-inch TVs Below $1500 in this Review. 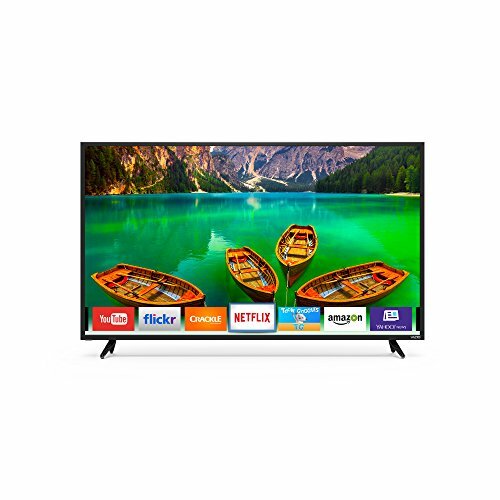 Next up is another bargain, this time it's Avera 49EQX20, which is a budget 4K TV with very high picture quality, especially when you consider the low price range. It also comes with an 18 months warranty, which is great in case something should be wrong with it. 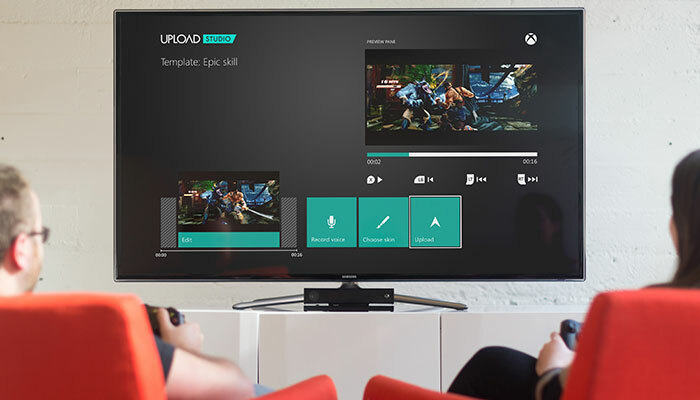 People seem to be very satisfied with the image quality, however, the sound isn't very good, and you'll need to purchase a sound bar to correct that, which makes it slightly more expensive than you might think when you just see the price range on the TV. This is not a Smart TV, but it does support Wi-Fi, so you can still use it with a Chromecast or Apple TV. It has the following inputs: 1 RF Input, 1 Composite, 1 Component, 4 HDMI, and 1 USB. 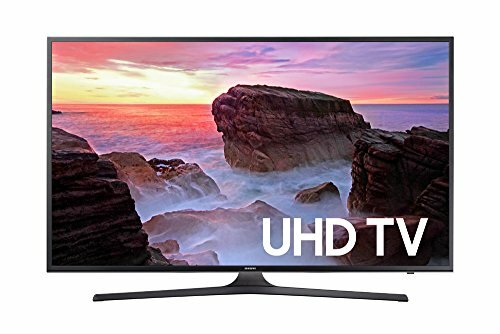 Why We Liked It - Sometimes you just want to buy a good 50" 4K TV that is as cheap as possible but still works like a charm, and that's when you might want to consider this one. Sure, it's not a Smart TV, and the sound isn't that great, but it works, and the picture is really good for the price. You can read more about this 50 inch TV here. The next TV you'll get to learn more about is Vizio D55 E0, which is a really good budget option that almost can compete with the big brands. It's really easy to set up and customers seem to be very happy with the picture quality and the 120Hz effective refresh rate that makes fast scenes less blurry, which is perfect for action movies and sports. It has Wi-Fi and is very simple to use. Why We Liked It - If you want to buy a 4K TV that is a safe choice but still pretty affordable, then Vizio is definitely the way to go! Are you looking for the perfect 65 inch 4K TV and are willing to pay a little extra to get, like, everything you could ever wish for? 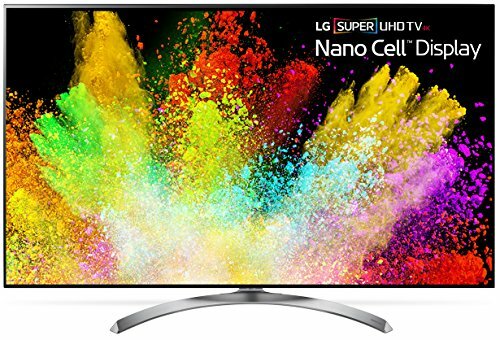 Then this TV from LG is the best option for you! 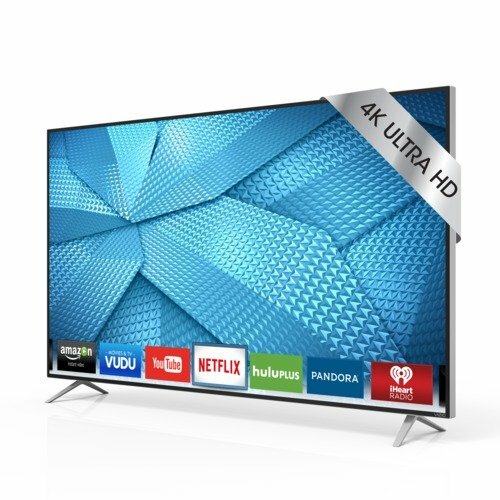 This is a true 4K Ultra HD Smart TV that does everything you can dream of! To start with, the image quality is outstanding, and the special nano cell display makes sure that the colors are 64 times richer than those of a normal TV. It doesn't matter where in the room you are or if the sun is shining on the TV or not, the darks are rich and the brights contrast nicely, which results in a more lifelike look. The refresh rate is 120 Hz, which means that fast scenes are very clear as well, even if you might be used to them being slightly blurry when watching an older TV. You get 100 free IP channels, such as Just for Laughs, Got Talent Global and Outside TV Short, and you'll be able to watch both new shows and classics. Since it's a 4K Ultra HD Smart TV it's also really easy to watch for example smart features such as Netflix by use of their app, and Netflix actually recommends using an LG TV to watch their HDR content! This TV supports Dolby Vision, which most other 4K TV's don't, so that also help the picture to be even better. Here is a really good video review that will tell you more! Why We Liked It - If you can afford it- buy it! This is a really great TV, and we can't really think of any cons at all, it's just remarkable, especially because of the amazing image quality and smart features but also because of the really nice, modern design. 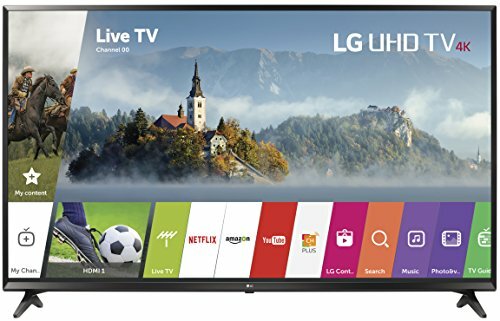 This TV makes it easy to watch shows and movies on demand, using one of the 100 included IP channels or why not Netflix, which actually recommends LG's TV's. This TV also supports Dolby Vision, which seems to be pretty unusual in 4K TVs. So we can't speak highly enough about this TV, it just seems to be absolutely perfect and probably one of the best on the market. Here is a great video that will tell you what you need to think about when choosing your TV! 4K is the same as Ultra HD (High definition) and means that the TV has a 4K resolution of 3,840x,2160 pixels, which is four times as many as in a regular HD TV. This makes the image quality better in the way that wide colors are brighter and there is a better contrast ratio as well as more detail and deep. 4K TV's are more expensive than regular non UltraHD TVs, but if you can afford it it's definitely worth it since you'll spend many hours watching it and it's an investment that is going to last for quite a few years. Make sure to use a TV stand that is longer than your TV, as it looks more balanced that way. A 4K UHD TV has four times better resolution than an HD TV! 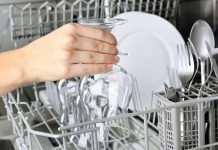 Read more info and facts in this study.